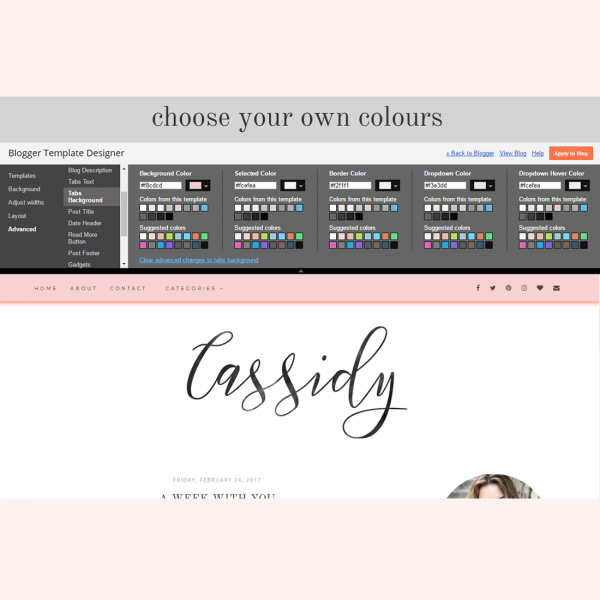 Cassidy is a pre-made theme or template for Blogger blogs. Transform your blog in an instant by uploading a new theme that will change the look of your blog, while keeping all your content intact! Cassidy is a pre-made blog theme or template for Blogger blogs. 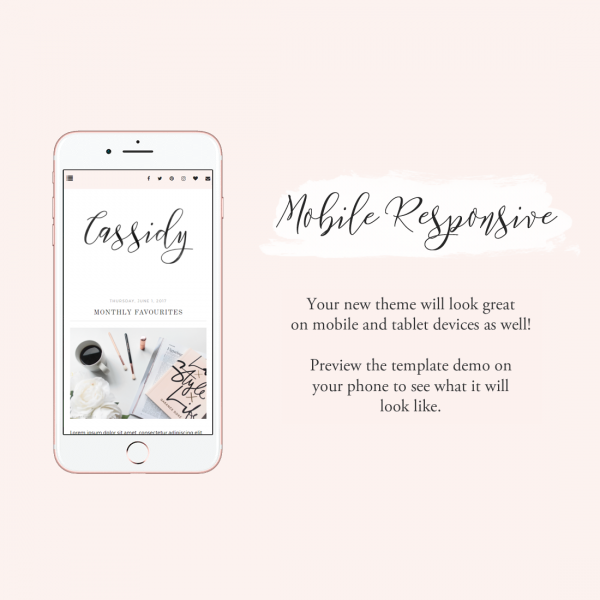 It’s mobile responsive, feminine and minimalist in design. It includes a drop down Categories menu and is easy to install for beginners! Your download will be a .zip file where you’ll need to extract the three files (mentioned above) to your computer (drag them from the .zip folder to another folder on your computer). If you need me to install the theme for you, please purchase Theme Installation as well. I’ve ordered from Vanessa a few times and every purchase I’ve made, I’ve not been disappointed. 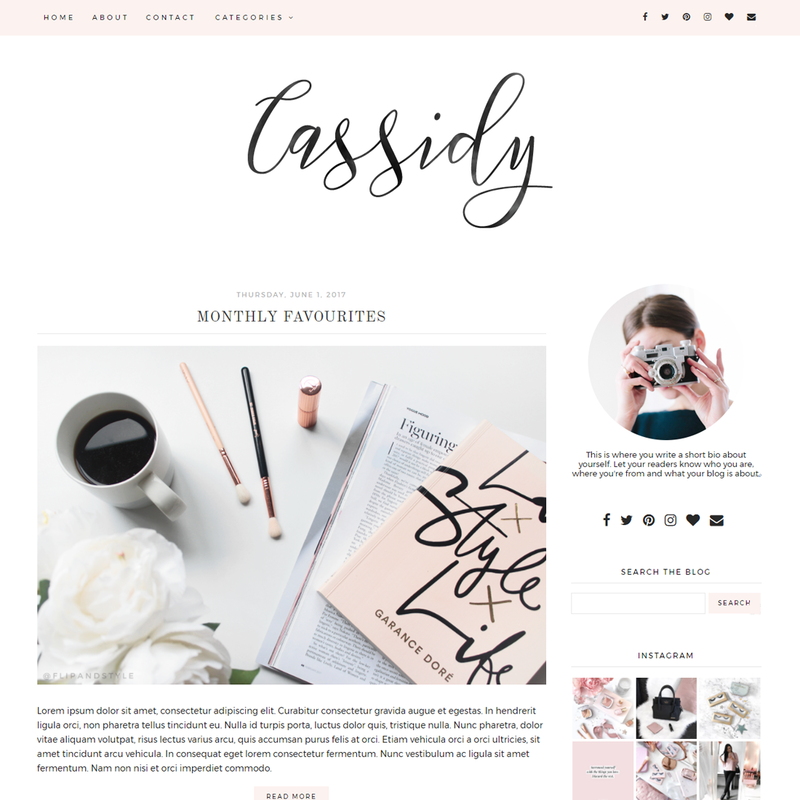 I purchased this theme about a month ago and i can honestly say, hand on heart this theme makes me feel productive and ready to upload a new blog post. 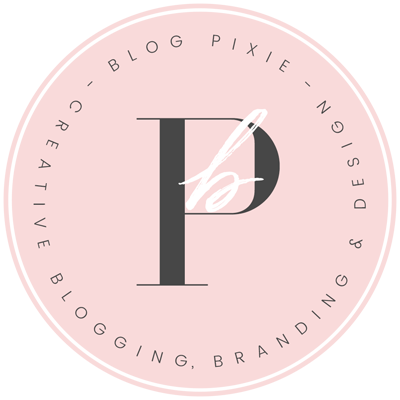 Easy instructions as well for new bloggers!